If you are looking for a dentist in Shelby, you may have picked up on the fact that there are two types of dental degrees – DDS and DMD. Perhaps you’ve noticed that there are far more of one than the other, or maybe they are split 50/50. Either way, you’re probably wondering what the difference is, and how this will affect your dental care. At Discovery Dental, we love to spread the word about all things dental, so here are the facts, straight from Dr. Miller. You have the right to know what training your health care professionals have received so that you can choose the best fit for your needs. Most Shelby folks know there are specialties in dental medicine, such as orthodontics (braces), periodontics (gums), and cosmetics, but what about the degrees? Don’t worry, Dr. Miller has even known dentists that are still confused about this. Whether you are searching for a new dentist, or your curiosity just got the best of you, we hope that this article has quenched your thirst for dental degree knowledge. 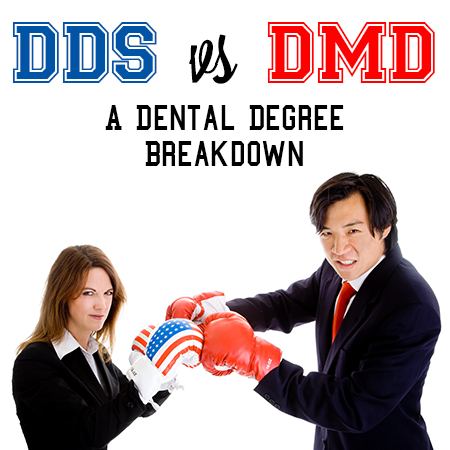 If you have any questions or would like to vent about the silliness of DDS versus DMD degrees, please give Discovery Dental a call at (419) 342-4217!